Mickey’s Very Merry Christmas Party at Magic Kingdom Park features favorite Disney characters in their yuletide finest, a shimmering Cinderella Castle, festive sweets and treats, and enchanting holiday entertainment – there’s even snowfall on Main Street, U.S.A.! We recently enjoyed the second party of the 2018 holiday season and loved every minute of it. Based on that experience, here are our ten tips for this year’s Mickey’s Very Merry Christmas Party. Mickey’s Very Merry Christmas Party is a separately ticketed event, complete with snow flurries and complimentary holiday treats, amazing Disney entertainment, and holiday magic. The party begins at 7 p.m., after regular park hours. Like Mickey’s Not So Scary Halloween Party, it’s an opportunity to enjoy holiday-themed entertainment and activities in Magic Kingdom Park. While the party does not officially begin until 7:00 pm, you may enter with your party ticket at 4:00 pm. We highly recommend you do this for several reasons. First, you’ll have time to enjoy the decorations and Main Street USA with some daylight. It will get dark shortly before 6:00 pm. Second, there is a lot to do at the party. We recommend getting there early, eating dinner, and even getting a few rides in before the party begins. That way when the party officially starts, you’ll be ready to enjoy the exclusive party offerings. Part of the evening’s entertainment is the popular, A Frozen Holiday Wish. Anna, Olaf, and Kristoff encourage Queen Elsa to transform Cinderella Castle into a special holiday display. During the party, the show takes place at 8:15 pm. However, this is not the only time you can catch this show. 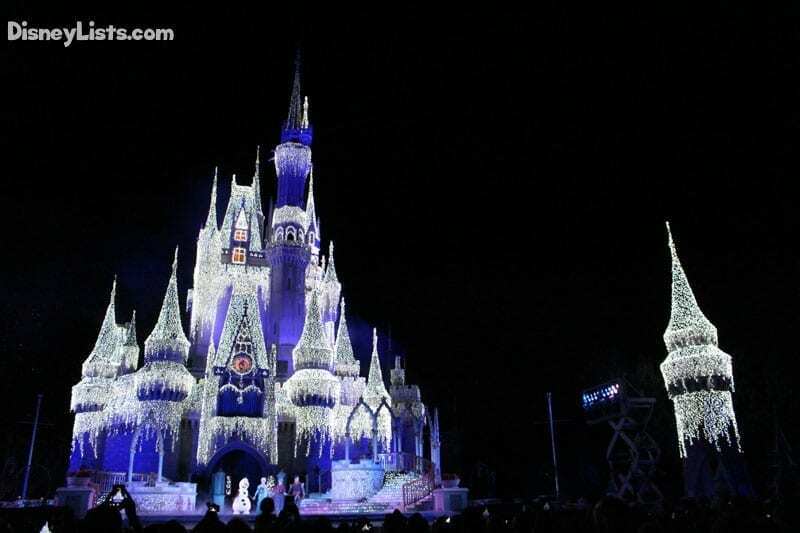 While Magic Kingdom will close for regular day guests at 6:00 pm, there is a performance of A Frozen Holiday Wish at 6:15 pm. By catching the 6:15 pm show, you’ll free up time during the party of other offerings. Be aware that since day guests may stay for this show, it will be crowded, and you’ll want to grab your spot about 20-30 minutes before the show. It’s a great show. Click here to see the finale of this show on our Instagram account! We hope you come hungry and ready for sweets and treats because this party has got a lot of them. Here are the complimentary Holiday Treat Locations you can visit throughout the evening. All locations are open until 12:00 am. The complimentary treats are a nice bonus to the party, but we do wish the quality of the cookies was a bit higher. We put these cookies on the same level as the cookies they give out with the kid’s quick service meals. They’re not terrible, but they are not that great. They are individually wrapped so you can take them home with you later if you desire. The one salty treat, the soft pretzel at Tortuga Tavern was the same as the Mickey pretzels in the park, just a different shape. This was a nice alternative to the cookies. At the end of the night, around 11:50 pm, we were treated to fresh, warm pretzels, so it’s nice to know they were still offering fresh pretzels even at the end of the party. One final note on the treats, the chilled “apple cider” was a disappointment – it was just Minute Maid apple juice. In addition to the complimentary holiday treats, there are other special holiday treats available for purchase. They include special cupcakes, cookies, cinnamon rolls, hot-dogs, ice cream, sundaes, and eclairs. We really enjoyed the special Mickey cinnamon roll from Main Street Bakery. It was fresh (still warm) and tasted delicious. It was quite large and was a nice treat to share. For more information and photos, be sure to check out this news article. The entertainment during the Christmas Party is top-notch. Be sure to check out our article on the Five Can’t Miss Entertainment Offerings during the party. Storybook Circus Disney Junior Jingle Jam – a dance party for the little ones with Disney Junior characters. One of the biggest highlights of the Christmas Party is the chance to meet rare characters or characters in holiday costumes. Here is the complete list of character meet and greets. If you want to deck your halls with all of your photos taken during Mickey’s Very Merry Christmas Party, purchase Memory Maker One Day and apply the entitlement to the day you attended the party! With Memory Maker One Day, you’ll receive digital downloads of all your Disney PhotoPass photos linked to your account that were taken on the one day of your choice. Memory Maker One Day is available in the My Disney Experience mobile app once you’ve linked at least one Disney PhotoPass photo to your account from the day to which you plan to apply the entitlement. You can also purchase it inside Town Square Theater at Magic Kingdom Park. We recommend staying late and enjoying everything the party has to offer. This party is not inexpensive and there is a lot to do, so much that you can’t get everything done in one night. So, enjoy the magical holiday atmosphere and stay as late as you can. The party will go on right through 12:00 am. As long as you are in line for an attraction by 11:59 pm, you’ll be able to ride that attraction. There are also two entertainment performances worth catching at the end of the evening. We’ve recommended the Reindeer Wranglers’ and their last show is at 11:45 pm. Also, the last stage show performance of Mickey’s Most Merriest Celebration is at 11:55 pm. By catching this last show right at the end of the party, you’ll be able to get more done throughout the evening. Finally, don’t be afraid to stick around Main Street USA for photos after midnight. We left the party at 12:30 pm and it was still very busy with many lines for PhotoPass photographers more than 10 minutes long. The cast members will gently move you along when it’s time to go, but you can enjoy the atmosphere and get photos taken through 1 am. Just be respectful of cast members and security directing you to leave. Overall, we really enjoyed the party. 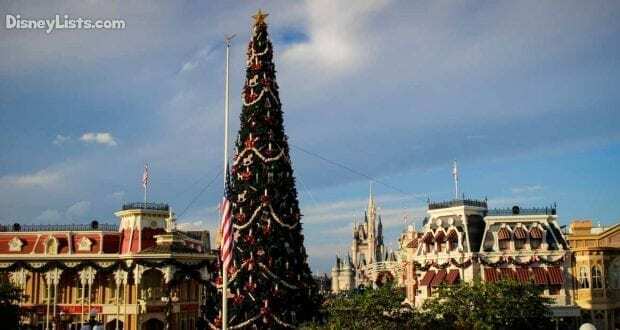 Magic Kingdom is a very special place to celebrate Christmas. The entertainment and decorations are top notch. 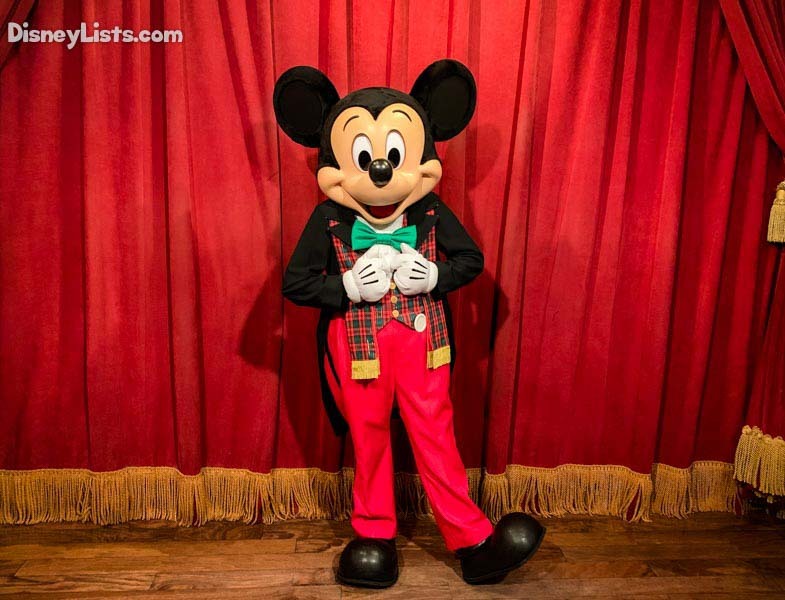 While we prefer the Halloween Party, if you’ll be visiting Disney World during the holiday season, attending Mickey’s Very Merry Christmas Party is an excellent choice! Editor’s Note: The Disney Company provided us with complimentary Mickey’s Very Merry Christmas Party tickets. However, the thoughts and opinions contained in this article are completely our own.